Discussion in 'Cross Country, All Mountain & Trail Riding' started by MMcG, Aug 26, 2005. 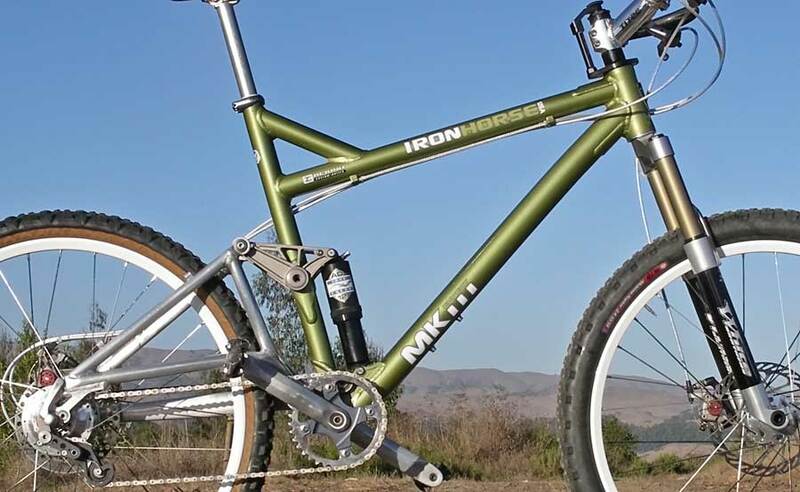 I know a few of you have upgraded from 2004, or 2003 Hollowpoints to the new Mkiis and I was wondering if you could share your thoughts on how the two bikes differ in terms of ride quality, geometry, and feel. 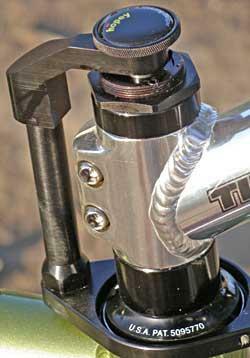 I noticed that IH significantly changed the seat tube angle on the MKiii and slightly slackened out the HT angle. How has this affected how the MKiii rides and feels, climbs and descends compared to the 2004 with the 71/71 seat angle/headtube angle configuration? Also can you notice a huge difference to the ride from going to the longer stroke shock on the 2005 MKiii? When I had my 19" Hollowpoint the thing I noticed and disliked the most was that the bike rode "high" in a sense. Maybe it was the frame size, but I've heard others comment on this high center of gravity type feel to the 2004 HPs. Is this "feeling" erased while riding the newer MKiiis?? I hope some of you (Stosh, BMXman), maybe even some of the IH guys, will chime in on these changes and how they affect the way the new Mkiii rides vs. the older Hollowpoint design (03s and 04s specifically). Wow, this reply is a month old already, but did you ever get an answer to your question? I'm still fooling around with my shock setup on my IH MkIII / Rohloff Speedhub build , but I'm close and am ready to begin making some comparisons vs. the 2003 Iron Horse Hollowpoint Expert it's replaced. I don't notice the change in the seat tube angle much. I went with a Salsa seatpost with just shy of 1" of setback for this build. This surprised me that I needed this, but in the end, the saddle is positioned in relation to the cranks where I need it to be, and everything feels good. The steering, on the other hand, is tougher for me to compare. Since I built the bike up with the Hopey steering damper, my steering (I assume) is a touch less "floppy" than I'd expect it to be -- but I also chose a 120mm White Brothers DT1.2 (500mm A-C height) for a reason: I liked the "XC feel" this ride height gave me (~1" of sag factored in) when I demoed the MkIII's prior to building this one. I had to go with a 105mm fork on the Hollowpoint to capture this same handling. So all in all, it's a straight shooter, even compared to the more XC-oriented Hollowpoint, even with the extra 15mm of travel I'm running. The lower shock pressure made possible by the longer stroke is most definitely notable. Keep in mind I'm running the Cane Creek AD-12, which is air damped and without any fancy platform valving. But I've gone from about 240 PSI on the old AD-12-equiped Hollowpoint, to somewhere in the 170 PSI range with the MkIII. The difference is that I do get a much more supple, full travel feeling out of the new bike. I've had to crank down the damping with both shocks, but that's not saying much: The air damping system is quite a bit more "fluid" than an oil damped system, and cranking the damping adjustment in on these shocks is still in the "minimum" range compared to many oil damped systems. 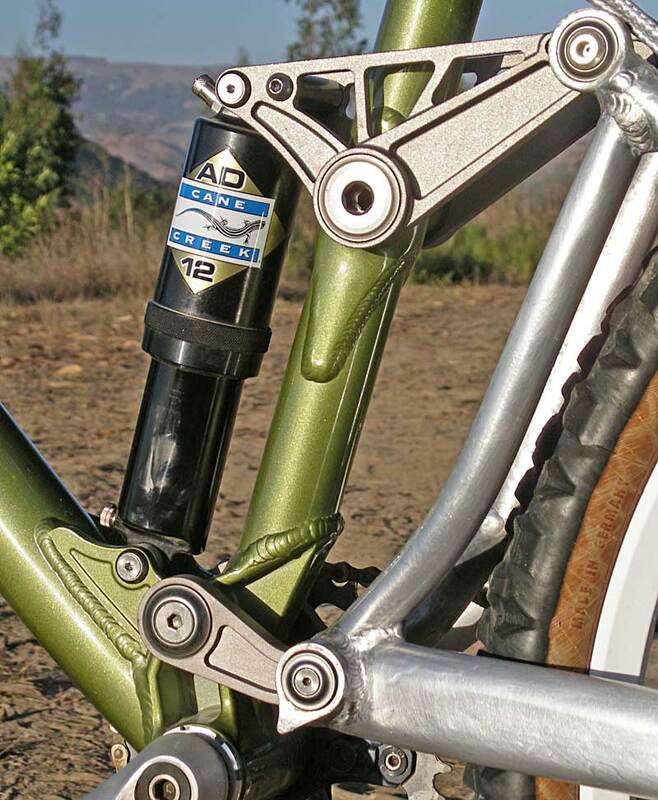 The suspension remains very lively and active, yet stable & uninfluenced vs. rider pedaling input, and that silky smooth, low-feedback dw-link quality is still present in every suspension movement. Here's something interesting, and something I'm not 100% committed to yet (since I've yet to ride China Camp or Eldridge Grade on this rig, which are my primary local tests for pedal strikes & bottom bracket height evaluation): The MkIII feels as if it rides a tiny bit higher than the Hollowpoint, and the extra clearance is appreciated. However, the climbing performance of the MkIII is superior. With the 120mm fork, my front end has quite obviously planted itself on steep climbs, with absolutely zero tendency to pop up or track sideways. The Hopey may be partly responsible for the great tracking, but the front end weight distribution is absolutely not, and can only be attributed to the the geometry of the frame. The front end of the Hollowpoint was no slouch in this area, but nonetheless was lighter and more willing to jump off without proper attention. And, to reiterate my impressions after my initial rides, the overall stiffness of the frame & 20mm through axle fork is outstanding. On the Hollowpoint I could "sense" flex under specific off-camber conditions, but the MkIII feels like I'm sitting on a log -- a very efficient log. Thanks Nate - very much appreciated.